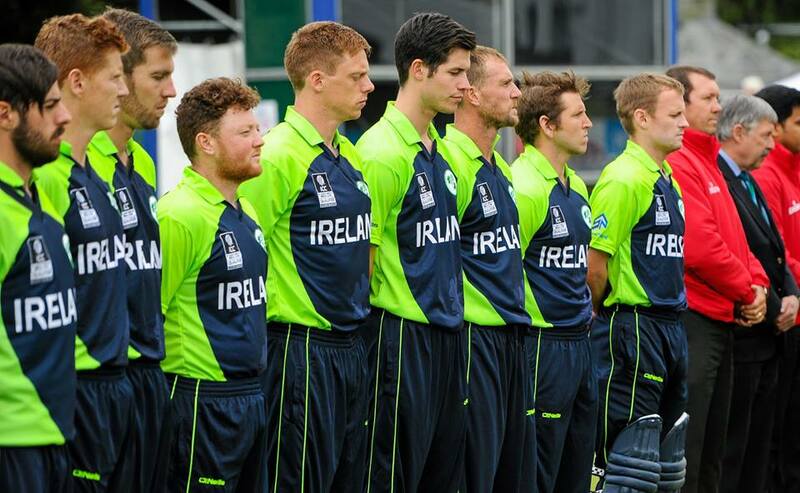 Ireland have named an experienced 15 man squad to compete in this month’s T20 World Cup cricket tournament in India. Five of the squad will be playing in their fifth T20 World Cup and captain William Porterfield, who plies his trade for Warwickshire in England, will be amongst them, having captained Ireland in all five of their World Cup appearances. The O’Brien brothers, Niall and Kevin, Paul Stirling and Gary Wilson will also be experiencing this tournament for the fifth time, having played integral roles in previous tournaments held in England, West Indies, Sri Lanka and Bangladesh. Ireland’s bowling attack, often touted as their achilles heel, will be handed a major boost by the return of fast bowler Boyd Rankin, who until recently was playing international cricket for England after defecting from Ireland in 2013. English born bowler Tim Murtagh also makes the squad after missing the 2015 World Cup through injury and will add much needed control to Ireland’s bowling attack. Ireland head coach, New Zealander John Bracewell, will be leading Ireland in a global event for the first time, having taken the reigns from West Indian Phil Simmons in 2015. He said: “The squad has got a real balance to it, with that blend of youth and experience that every coach likes”. One player the Irish team will undoubtedly miss, however, is batsman Ed Joyce, who decided to retire from T20’s last year. With a massive global sporting event just around the corner and Ireland’s growing stature as a cricketing nation, there is lack of coverage and awareness that the tournament is even taking place. The Liberties is not a cricketing stronghold by any stretch of the imagination and with the current facilities available, that is not likely to improve any time soon. There is not a single cricket club located within the Liberties. When approached about the idea of a cricket club in the area the people of the Liberties were not overwhelmingly positive. Most laughed the idea off, with one gentleman even proclaiming that it was only “poshos” who played the sport. There were some positive reactions, however, and while most of those approached didn’t seem to have any great knowledge of cricket, they saw the idea of any new sport being introduced to the area as one that could only have a positive effect. There are two clubs within a reasonable distance of the Liberties. There is Garda cricket club based in the Phoenix Park, which only has a couple of adult teams and is not exactly a place for young kids to learn their trade. There is also Leinster Cricket Club, based in Rathmines, which is an entirely different story. This is one of the biggest clubs in the country and has even hosted international matches in the past. It boasts excellent facilities for youth and adult teams. The club are planning to broadcast Ireland’s three group games live but are not anticipating a large turnout. Cricket Ireland has a plan for cricket to become entrenched as Ireland’s sixth biggest sport, but realistically when the exposure is so low in areas like the Liberties, the sport’s growth will be stunted. So when Ireland take on Oman in their opening game on the 9th of March, will anyone from the Liberties be watching? It seems unlikely. 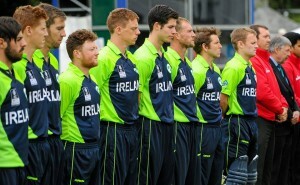 Irelands squad for the T20 World Cup : William Porterfield (captain) (Warwickshire), Andrew Balbirnie (Middlesex), George Dockrell (Leinster Lightning), Andy McBrine (Donemana), Tim Murtagh (Middlesex), Kevin O’Brien (Railway Union), Niall O’Brien (Leicestershire), Andrew Poynter (Clontarf), Stuart Poynter (Durham), Boyd Rankin (Warwickshire), Max Sorensen (The Hills), Paul Stirling (Middlesex), Stuart Thompson (Eglington), Gary Wilson (Surrey), Craig Young (Bready). All of Ireland’s games will be available to watch live on Sky Sports.